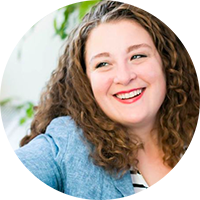 I was literally about to go to sleep when – despite knowing better – I clicked on a link titled “18 Ways Real People Had Their Weddings for $5000 or less.” What followed upset me so much that I sprung from my bed to blog what was the matter. (“A Visit from St. Nicholas” reference, anyone?) 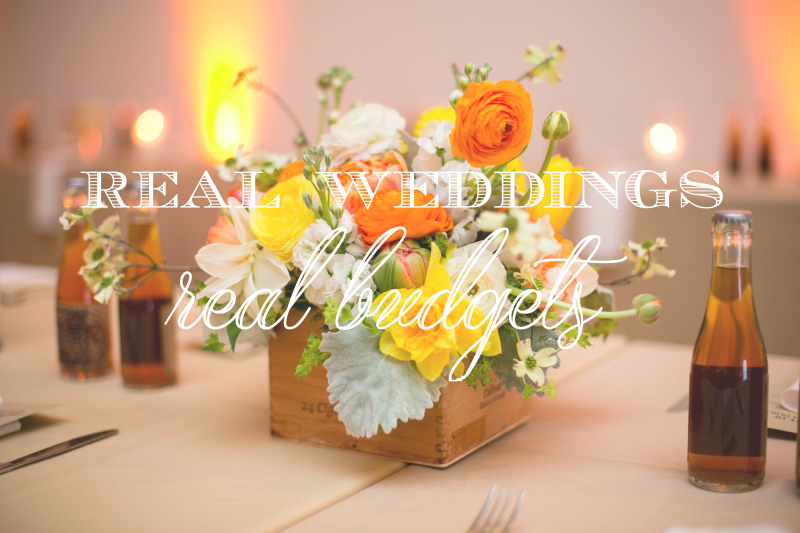 Anyone who knows me knows that I am a huge advocate of respecting wedding budgets. Yes, I make a living from helping couples plan their weddings. But there is an actual difference between the WEDDING INDUSTRIAL COMPLEX and, like, small business owners. So I take it very seriously when couples feel pressured to spend inordinate amounts of money when they don’t need to, don’t want to, or don’t have it to spend. So of course I read every blog post about saving money because I like to stay educated and up to date on the newest, greatest ideas! But. Click-bait headlines like “18 Ways Real People are Having Cheaper Weddings Than You Could Ever Possibly Hope to Have” are just screwing with people’s expectations. Do explain? Oh, I shall. Problem #1: The couple had their CEREMONY in the park; the RECEPTION appears to have taken place in someone’s backyard. Why do I make this distinction? Because you cannot drink alcohol in a National Park (or state park, or most municipal parks as well). If you want to have a dry wedding, then by all means – host your reception in a park. But if, like 99% of all weddings I’ve ever worked on, you plan to serve booze? You’re not doing it for free in a park. Problem #2: First thought I had when looking at these gorgeous, blog-worthy photos? “Who’s the photographer?” So I clicked through to his site and checked out his rates. They START at $3600. So this featured wedding spent at least 72% of their wedding budget on photography. I mean, spend your money however you want. But let’s not kid ourselves that most people can pull off a five grand wedding and spend that much in one place. Problem #3: This couple and their friends handmade EVERYTHING. Her gown, her veil, the napkins, the decorations, the food, the beer, the EVERYTHING. I have some very talented friends, and I certainly call in favors when I need to. But many couples are planning a wedding on top of work/dissertations/moving/life and don’t have time to do everything themselves. Or they would rather their friends and family enjoy the wedding as guests, not staff members. I love some nice, handmade details. But if you want a free wedding, it’s gonna cost you. Problem #4: This, like most “Ooh, look! Something shiny!” wedding features, talks about all the fun, pretty wedding details. But the not-fun details are why I get paid the big bucks. How did all those people get to the ceremony? (They drove, duh.) Ok, was the parking lot near the ceremony location or did they have to hike in? (I dunno?) If they had to hike in, how did their grandparents get to the ceremony? (Homemade sedan chairs carried by groomsmen?) For that backyard wedding, what if it had rained? (Well, it didn’t!) Great, but what if it had? (I guess they would have gone inside?) What if the house wasn’t big enough for everyone? (They could rent a tent.) Well, the tent plus their $3600 photographer would have blown the budget. Does the house have public sewage or a septic tank? (I don’t know, why?) Because I’ve seen what a large crowd of people can do to a septic tank and it’s definitely not blog-worthy. Did they rent toilets? (Uh…) Ok, I think I’ve made my point. I love nothing more than finding ways to save my clients money, but I always have an uphill battle when couples begin the wedding planning process with unrealistic expectations. Imagine being a doctor, and the first time you meet a patient you have to tell them that one of their organs is failing. I frequently have to break the bad news to clients that the thing they imagined they could do for X dollars is going to actually cost 10 times X. A $5000 wedding is not one-size-fits-all, and these aggregate blog posts make it seem like with a few crafty friends and a can-do attitude, anyone can have a wedding for pennies on the dollar! The truth is anyone can get married for a couple hundred bucks (the cost of a license and a city hall ceremony). But if you want to throw a huge party for your family and friends, be careful not to fall into a trap of expecting perfection without paying for it – either with time, money, or your sanity. EDIT: Inspired by my Facebook friends’ stellar comments, I’ve decided to end this post on a helpful note. With, y’know, actual suggestions for saving money on your wedding! So… you wanna have a wedding for $5000? Here’s how (no BS). Calling all favors! You have a cousin who dabbles in photography for fun? Call her. Your best friend manages an art gallery? Can you get it for free? Your mom always baked your birthday cakes growing up? Now she can bake your wedding cake. Every favor called in is money in your pocket. Gut that guest list Yes, some folks can find a way to have a near-free wedding for 200 guests. But your biggest expense is always going to be food/booze. If you’re buying, even at $5 per person (that’s one beer, one chicken breast, and a slice of pie), that’s $1000. If you (or your family) are MAKING the food, think about asking your aunt to make her world-famous potato salad… for 200 guests. That’s a big undertaking, not to mention a lot of potatoes. DIY Everything And DIY it from things lying around the house. Trust me – you will not save money by “crafting” if you have to go out and spend a mint at the craft store. And if you can’t make it yourself, barter for it. A lot of these $5000 weddings were planned by people who ran their own businesses and were able to trade. So it didn’t cost them money, but now they are also working for someone else for free. Be prepared Per my tent-and-toilet conversation above, note that a wedding budget can quickly be blown by an unexpected rainfall, toilet emergency, or other unforeseen circumstance. Think through the logistics of the day so you don’t end up in a pickle and just throwing money at the problem to make it go away. Beware “cheap” vendors Some of the suggestions I read were to hire students or early-career vendors because they would be likely to charge less. This is true, but it’s also risky. I’ve worked with student photographers whose camera battery died mid-wedding (I obviously have backup batteries because I was a stage manager, after all). A student musician was late to a wedding once and I couldn’t get him on the phone because the only number I had was his mother’s home phone (and she was driving him). For every skilled wedding vendor, there is someone starting out who hasn’t made their mistakes yet. And they just may make them on your wedding. It’s not impossible! With realistic expectations, you can still have a killer wedding without getting a second mortgage.